SQLCMS Generates an AJAX Content Management System for any SQL server database, including all tables, views, stored procedures and webservices and integrates with any existing pages you may have. Recognises relationships between tables and allows dynamic drill-down from parent to child data. Full role based security integrates with your existing database user/role/group structure or provides its own encrypted xml based user management. SQLCMS Generates an AJAX Content Management System for any SQL server database. ...... customise all results without any postbacks. Can be extended easily with webservices or your own pages. Edit any type of data including images. * Available in 6 languages - English, Spanish, Italian, French, German and Chinese. * View, Search, Edit, Insert, Delete or Multiple Delete any data in your database. * Adapts to changes in your database with no downtime. * Export to Excel or CSV. * Built in Editors including an HTML editor, multiple format Datetime editor and file uploader. 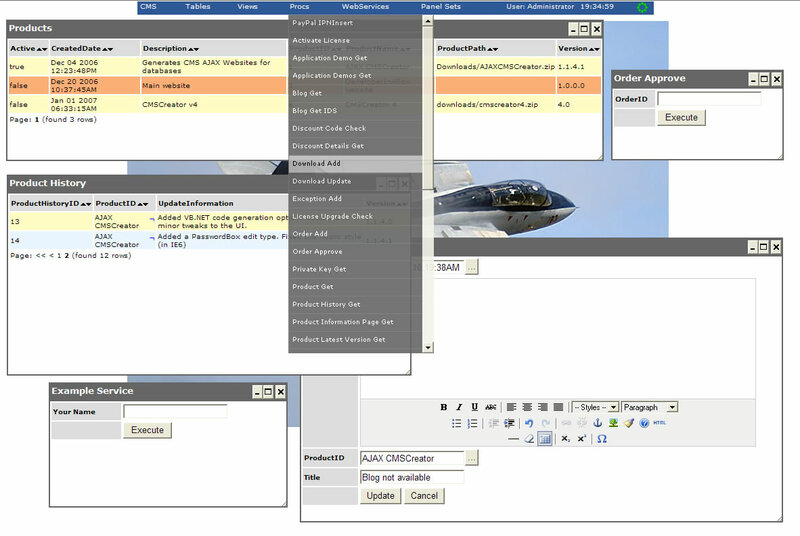 * Add, remove and rearrange columns and persist settings through sessions. * Automatic lookup list generation for data entry. * Work with any tables, views or stored procedures in your database. * Can execute any stored procedure and renders output parameters and datasets. Qweas is providing links to SQLCMS 1.5.2.0 as a courtesy, and makes no representations regarding SQLCMS or any other applications or any information related thereto. Any questions, complaints or claims regarding this application SQLCMS 1.5.2.0 must be directed to the appropriate software vendor. You may click the publisher link of SQLCMS on the top of this page to get more details about the vendor.